Science fiction and fantasy are full of epic characters who go into uncharted realms. And some of the most memorable characters started out as the opposite gender, before getting changed in production or in a remake. Here are 10 famous characters who got more interesting after they had their genders flipped. 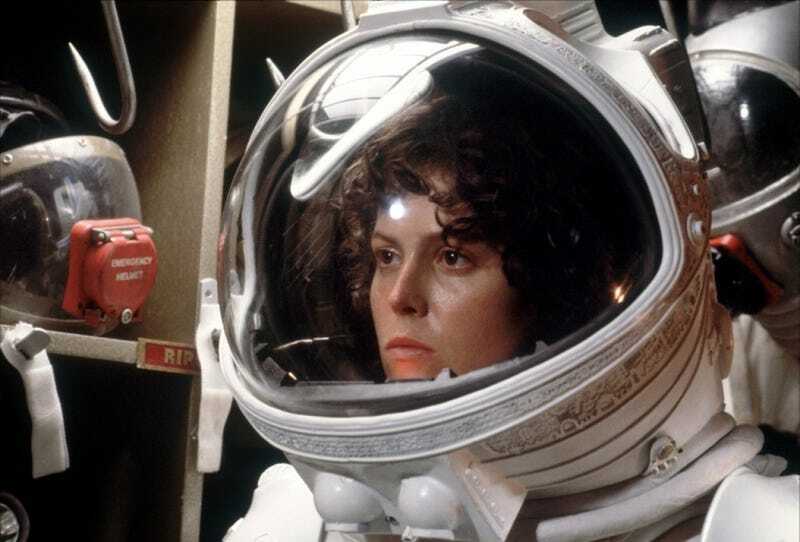 1) Ripley in the Alien movies: The character was written as a man, but they cast Sigourney Weaver, who added so much. The dynamics in Alien are way more interesting this way. 2) Starbuck in Battlestar Galactica: Dirk Benedict's baby-faced version was fun, but Katee Sackhoff brought more swagger and more layers. 3) M in the James Bond films: Judi Dench is just such a great actor, she pretty much runs away with Skyfall. Her relationship with Bond just gets way more fascinating. 4) H.G. Wells in Warehouse 13: Lots of shows and movies have featured fictionalized H.G. Wellses, but Jaime Murray's swashbuckling version pretty much owns the character at this point. This is how we picture the real-life author now. 5) Luke Skywalker in Star Wars: George Lucas' early script drafts, where Han Solo was a lizard man, also featured a female Luke. Hard to picture the Luke-Han banter. 6) The Angel Gabriel in Constantine: Tilda Swinton basically brings all of her Bowie-esque ethereal mystery to this role, and it's amazing. See the whole thing here. 7) Robin in The Dark Knight Returns: Batman's sidekick was reinvented and revitalized when Carrie became Robin. We were hoping for a repeat with Stephanie Brown. Sigh. 8) The Question in 52: Vic Sage was a cool enigmatic hero who helped inspire Watchmen's Rorschach. But Renee Montoya just brought more personality and history to this identity. 9) Prospera in The Tempest: We were not crazy about Julie Taymor's Tempest in general, but casting Helen Mirren was a stroke of genius. She brought real, actual magic to that role. 10) The Vision in Ultimate Vision: Instead of being another one of Hank Pym's robots, the Ultimate version of the Vision is a female robot from space, come to warn us about Gah Lak Tus. Thanks to Esther Inglis-Arkell, Tristin Salazar, Dooglahs, Yael Tiferet, Kira Snyder, Vavia, Regis Donovan, Daniel Abraham, Lawrence Cockrill, Curtis Chen, William Cardini, Amanda Kondolojy, Colleen Mondor, John Ryan, Patrick Weekes, Nick Bragg, Tim Maughan, David Singleton, L. Laiken, Kevin Miller, Lia Bulaong, Emma Osborne, Misty Smith, Trisha, Mary, Indigo, Shaun Andrews, DL Thurston, Ian Rose, Charles Tan, Scott Dagostino, Adam-Troy Castro, Rob Clough, Jessy Randall, Steve Lawson and everybody else who suggested stuff.